Small or large projects, we work within your budget to deliver the best quality. We have the best and most responsive customer service in the structural engineering industry. We have the technical expertise and decades of construction experience to complete your project. With origins as San Francisco structural engineers, Design Everest Inc. provides structural engineering and design consulting services, with a reputation for exceptional quality and value, dependability and integrity – with unparalleled responsiveness to your unique needs. Our offices are located in San Diego, Mountain View, San Francisco, Los Angeles, and Sacramento-Folsom California and we do projects throughout the State of California. We utilize our technical expertise and practical construction experience to provide a solutions-oriented approach to each project. Whether you need a home structural engineer or design services, Design Everest is here to help. Our structural engineer costs are very competitive and whether you are looking to find a structural engineer, or a design professional, Design Everest is the right choice for your project. 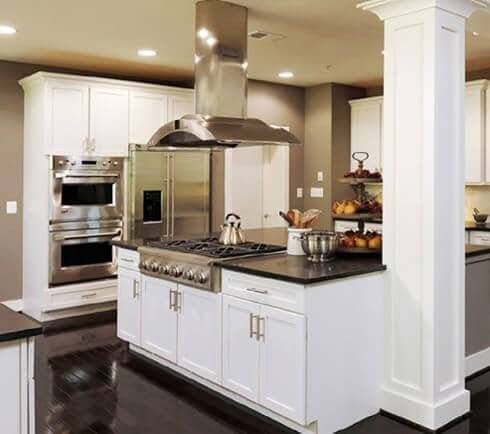 We can help you design your new custom home, home addition, home remodel, remove load bearing wall, do a seismic retrofit, or any other project you'd like to do to your home or office building. A Design Everest structural building engineer can help with any kind of building project requiring engineering services. Don’t just take our word on our focus on quality and value. We are rated 5 star on Yelp, we are Best of Houzz in 2017, we are rated consistently high by home owners, architects, builder and contractors. We pride ourselves on our focus on customer service and quality and we work hard to keep getting better in whatever we do. We pride ourselves on providing creative solutions to meet structural engineering, design and scheduling constraints in the most cost-effective manner. Design Everest believes that maintaining effective communication and responsiveness between all parties involved in the structural engineering and construction process is vital to the success of a project, and as one of our core values we believe it is a source of added value to the owner. Beyond structural engineering, we work with our clients on their architectural needs through our talented group of architectural and design partners – we also work on your solar, civil, soil, geotechnical and other engineering needs as you move through the lifecycle of your construction projects. Design Everest's list of projects, services, and clients highlight the breadth of 13 years of experience, and our eagerness to take on projects of all sizes. Our local structural engineers are committed to providing solutions that fulfill the aspirations of our clients. Clients repeatedly come back to us for our high quality structural engineering design services with renowned analytical creativity and cost-effective solutions. Under pressing circumstances and time lines, Design Everest was responsive and accessible and instrumental in helping myself and the client complete project quickly and professionally.Can’t thank them and their team enough…Many thanks and future success to all at Design Everest. Definitely will call them for services when the time comes. Design Everest’s engineer was my structural engineer for my construction project. During the construction, he had been very responsive to all the questions the contractors and the inspection had. Their engineer is great. I was working with Design Everest on my new construction residential project. Their engineer has provided high level of professional expertise, great level of details, quick response and aggressively competitive pricing. Looking forward to do business again. Thanks, Design Everest. I was immediately impressed with their responsiveness, can-do attitude and refreshingly straightforward approach. My project had some unusual structural aspects which seemed to disturb in some manner other structural engineers (resulting in some out-of-sight bids – and wild, expensive solutions). Design Everest delivered on time, provided a high-quality and most importantly a cost-effective solution – and continue to support me through the implementation process. Design Everest was very efficient and very helpful. Even though my project is only to add a room, they are very responsive and very professional. Design Everest has even gone the extra mile to help me on the design. Price is very reasonable also. When I need additional change, they did it right away. Thanks for the support. I’ve collaborated on a number of commercial projects with Design Everest and I can attest to their detailed in-depth knowledge of structural and earthquake engineering. They are able to engineer not only wood buildings but also steel and reinforced concrete structures. I found their knowledge-based approach and timely delivery refreshing.